These release notes provide an overview of Markforged releases including new features, fixes and known issues with the printer software and firmware. If you are unable to update your printer online, you can download a USB update here. If you are unable to update your furnace online, you can download a USB update here. Explore Markforged Additive Manufacturing University to access free online learning content. This software release fixes a networking issue experienced by a small number of customers. This software release focuses on new features and performance improvements. More details are below. Alpha release: 50µm layer height! For 50µm printing, please use the newest metal nozzle. During the alpha period, please focus on small parts -- approximately the size of a golf ball or smaller. Print success may vary at this time; see here for more details. To learn more about the Metal X, click here. If you are unable to update your printer online, you can download a USB update here. If you are unable to update your Sinter-1 online, you can download a USB update here. Improved the accuracy of print time estimates on all printers. Improved roof quality on overhangs. To see this improvement, re-slice your parts. New Calibration: customers with the Metal X, X3, X5, and X7 should recalibrate their encoders for improved detection of dislocations and out-of-material. Begin tracking under-extrusion on industrial series printers so we can flag printers for maintenance in the future. Reduce material jams and increase Metal X uptime by improving nozzle purges. To learn more about the new Metal X, click here. Added automatic weekly health check for all printers. Users will see a reboot during this time. Fill Density (Material Settings) is now displayed as percent mass instead of percent max-allowed infill. For solid parts, select Solid Fill from the Fill Pattern menu. Bug fixes for fiber nozzle calibration and laser bed leveling. Updated multiple utilities to increase clarity. Improved furnace safety purge processes. New ability to update spool weight mid-print without unloading and reloading material. You can now reset material amount by weighing the loaded spool on a scale and returning it to the drybox – no wasted material or waiting for nozzles to heat. Added new material badges to prints in queue on the printer touchscreen. Various improvements to material loading and unloading routines. Bug fix for printers that were not responding to the Stop command from the printer home page in Eiger. Improvements to print quality. Updates in Eiger only. Introducing Turbo Print! Part infill prints at double speed. Turbo Print delivers great surface finish and cuts print times almost in half. Turbo Print is available for any Onyx only part printed at 0.05, 0.1, or 0.125mm layer heights. Turbo Print and Turbo Supports are both Beta features and default to *Off*. Turn them "On" in "Part Settings". After completing a print, scans can be saved to a USB drive. Scan data is stored in a Markforged Job File (MFJ). You can upload an MFJ file using the “Import Print Job” button on the print job history page. This feature allows uploading laser scans in both the online and local storage software. When using the local storage software, a slashed cloud icon will now visually indicate that your part is stored offline. The X3, X5, and X7 can now print Onyx-only parts in the purge line area at the back of the print bed. Onyx-only build area increased to 330mm x 270mm. Users can now select "Metal X" as a printer version in Eiger. With the printer version set to "Metal X", users can now select "Stainless Steel" as a material. Users can slice parts for 17-4 Stainless steel to see print time, material costs, and weight of part. Eiger Part View is more streamlined to help users easily find settings that they may need to change. All printers now support USB 3.0 compatability. You can now add parts you own to any project in your organization. Users cannot move other users' parts into or out of projects. On the account settings page, you can now choose "Metric" or "Imperial" as your preferred units. Newly imported parts will use those units be default. This setting also affects the units displayed for part weight and laser scan measurements. Default sandwich panel now has four layers of fiber on top and bottom, rather than three. Default fiber pattern is Isotropic for increased strength. For parts that are already sliced, you will need to turn on "Turbo Supports" in the advanced settings. Larger buttons on printer touchscreen to increase readability and usability. It is recommended that Mark X users re-run the Adjust Fiber Nozzle Height Utility after updating their printer firmware. Laser now scans bed topography and actively compensates for elevation changes during printing. We now print a small calibration line on the left side of the print bed prior to every print. These changes result in better bed adhesion, less warping, improved surface finish, and more accurate parts. Run the new laser level utility on your printer. For more information about running the Laser Leveling utility, please see the Level Print Bed support article. Re-slice your parts in Eiger. This can be accomplished by initiating a print by opening a part from your library (note: you will need to re-create any saved builds and replace queued print jobs). Click any face of your part on the part page to make it face down on the bed. Click the 'Manual Rotation' button to use a graphical rotation tool. Check out the Support Article for more information. MARK X users who upgrade to the latest version of the firmware must also take the additional step of recalibrating their stepper encoders. Menu > Utilities > Advanced Utilities > Calibrate Stepper Encoders and follow the on screen instructions. This firmware update contains general bug fixes that should improve user experience. Slicing is faster AND you can continue to do other work on your computer while Eiger slices your part in the background. Part slicing can now queue multiple parts to slice as soon as the current part completes. Custom Fiber edits in the Internal View will now be preserved if an unrelated setting is changed in the Part View. Pauses placed after layers will also be preserved. Changing the scale, rotation, layer height, or STL will cause any custom fiber settings to be lost. A thick purge line will now print before every print job, unless a print has been run in the last four hours, to ensure best possible results. The print purges your printer of material that has been sitting in the Bowden Tube and may be susceptible to moisture from the air. The purge line takes about five minutes to print and uses less than $1 worth of material. You can manually turn off the purge line, or print it manually, by going to Menu -> "Utilities" -> "Advanced Utilities" -> "Wet Nylon Purge". Wet Plastic Purge Line Utility Support Article. Your printer will now show an "Are You Sure?" prompt before cancelling a print to prevent accidental cancellation. On the library page in Eiger, parts will now have badges to show material type(s) used. Parts will show badges for both plastic type and fiber type. Utility to show if the printer's Fiber Nozzle is at the correct height. 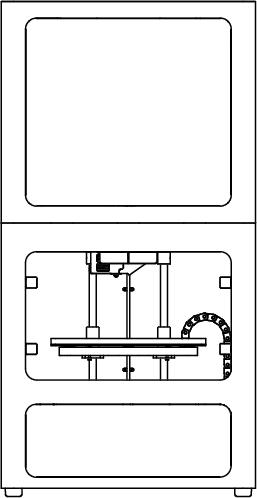 Users can print a test "staircase" part and swipe the Fiber Nozzle over it. The placement of the mark left from swiping the nozzle tells if the nozzle needs to be raised or lowered. Print Quality ratings for finished prints will now appear on the print job page. Updated the way prints with fiber generate to minimize the pull back of fiber on the corners of parts. Fixed a bug that was causing incorrect "Time Until Pause" to be displayed. Fixed a bug that was causing large prints to generate off the build plate. Large prints can now be successfully placed on the build plate in Eiger. Users can no longer change "Plastic fill Type" in the Internal view. 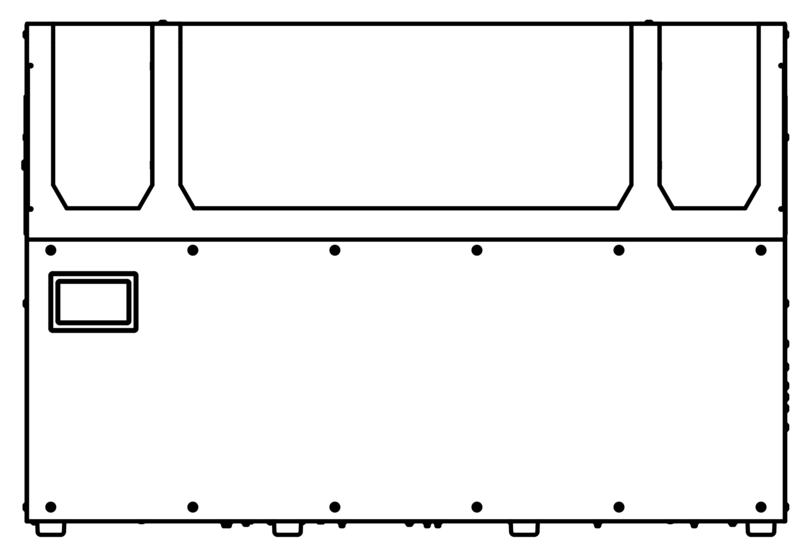 Users can only set a plastic fill type for the entire part, rather than setting it by layer. Automatically add a plastic layer above a fiber layer for additional part strength. 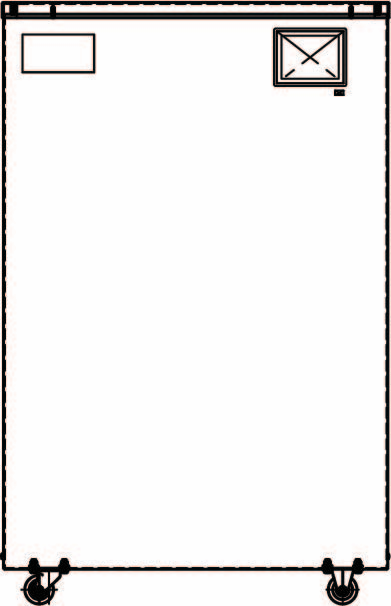 Presents users with the option to automatically pause the print when material is about to run out. Allows users to get the most out of a partial spool without running out of material during a print. Printers now include files to perform the Bed-Level Test Print and XY-Offset Calibration Test Print with Onyx. Fiber jam detection can now be toggled on or off while a print is in progress. The time remaining until the next scheduled pause will display on the printer page in Eiger and on the printer's touch screen. Print queue page now groups identical items into a single row with a quantity of prints. Printers will warn users when they are attempting to print a part and there is not enough material loaded.